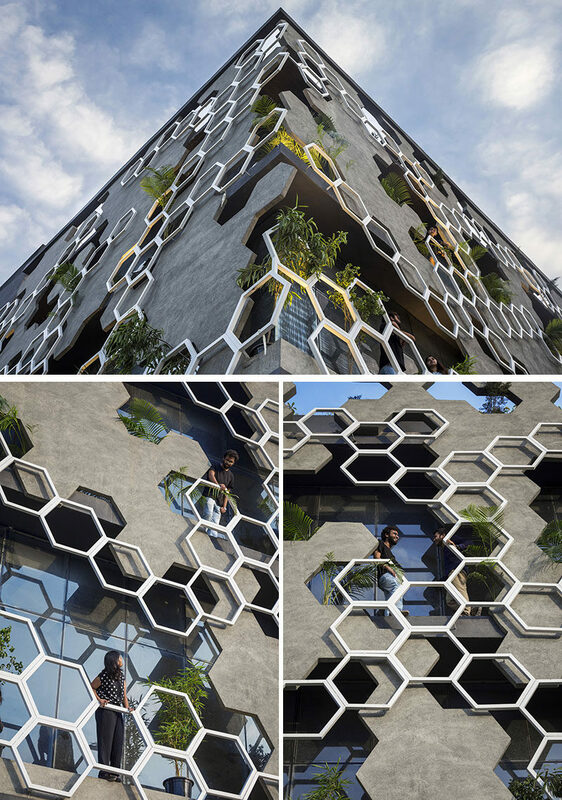 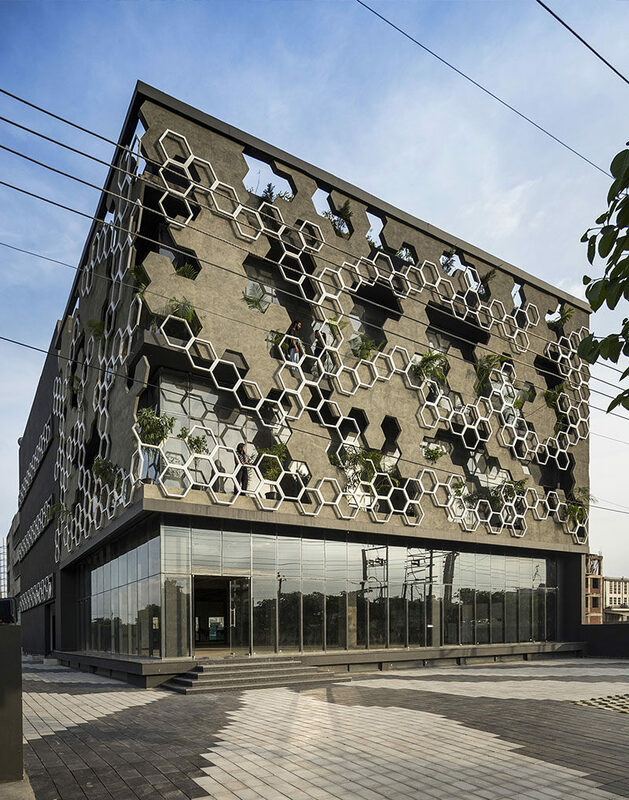 Studio Ardete have recently completed ‘Hexalace’, a new building in Mohali, India, that features a hexagonal pattern on its facade. 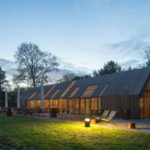 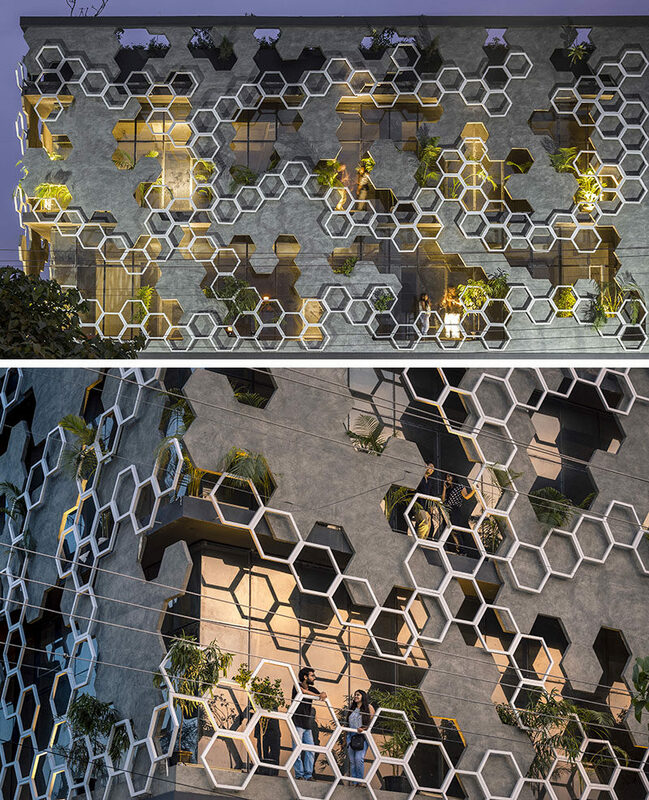 Due to the extreme heat that can occur in India, the architects created a 3 inches thick concrete layer with hexagonal cut-out sections, that is used as a shading element. 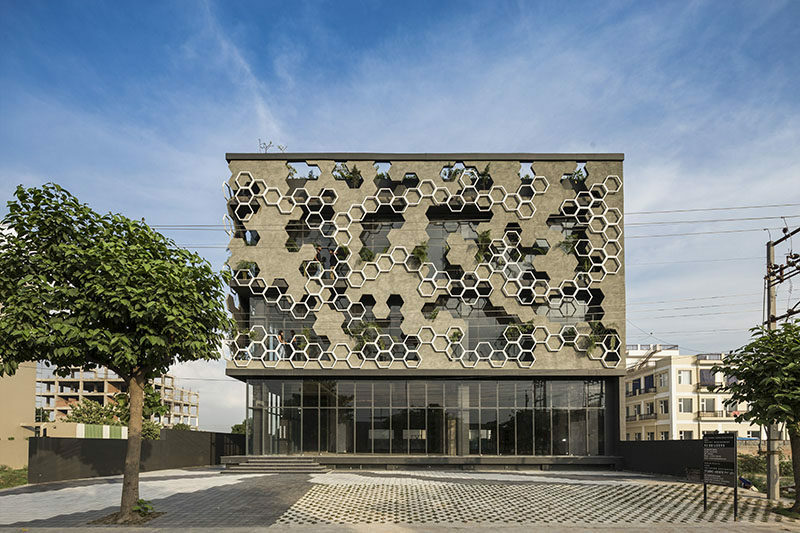 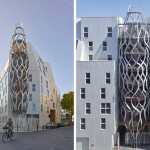 Another layer of hexagonal shapes, made of metal frames, is superimposed horizontally across the semi-permeable concrete screen which doubles up as balcony fence. 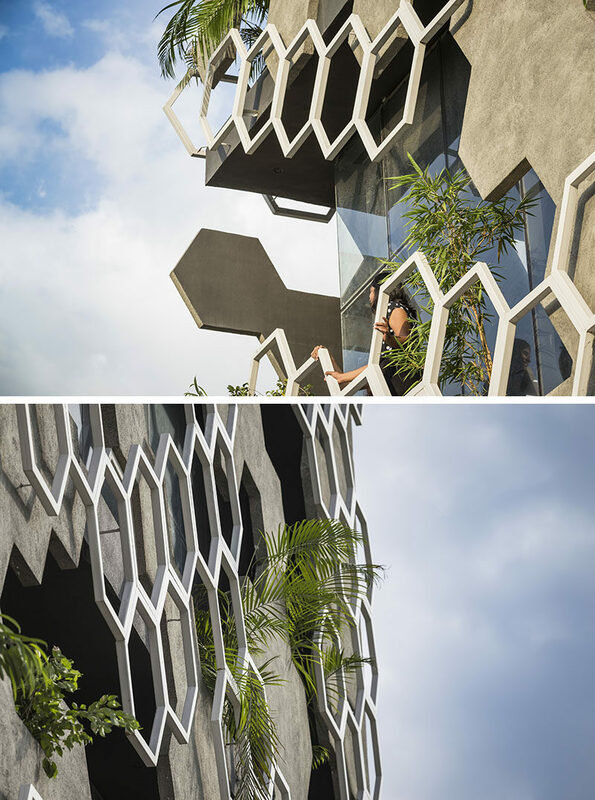 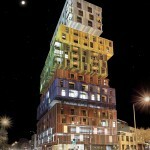 The balconies also house small clusters of plants, creating small pockets of greenery that contrast the facade.